Home of the Alpha Showdown, and one-stop shop for urban fantasy, paranormal romance and fantasy news and reviews. Note: While this review will be spoiler free, it will reference previous events. 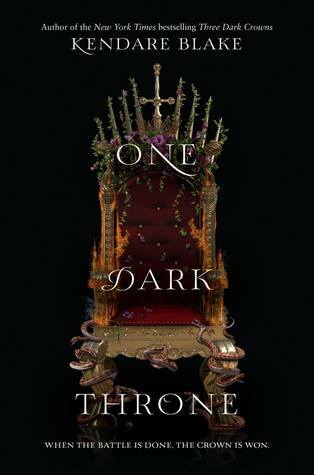 If you haven’t started this series yet, check out VBC’s review of book 1, Three Dark Crowns. The end of Three Dark Crowns left each of our Queens in a precarious state. Katherine had just been thrown down into the cavern of the Breccia Domain by her would be love Pietyr; we discovered Arsinoe is not really the naturalist she’s been raised to be, instead she is a poisoner (! ); and Mirabella’s impressive show at the Quickening Ceremony is swiftly overshadowed by what many view as her cowardice when she ran from Arsinoe’s bear familiar. Moving on, however, the Queens must now continue the traditions of the Ascension Year, which includes courting suitors and taking steps to ensure their victory over the other Queens (i.e. plotting each other’s deaths). It quickly becomes apparent that this Ascension is not like those in the past. Mirabella, Arsinoe, and Katherine are not quick to abide by traditions, but their will to survive may cause the bloodiest battle yet. I applaud Ms. Blake with taking these three completely different sisters, giving them the grotesque job of having to kill each other to reign victorious, giving each of them their faults (some more sinister than others), and still making me care about what happens to each one. After her return from Breccia Domain, a bloodthirsty Katherine would be easy to paint the villain, but you can see something mysterious happened when she was thrown into that cavern and despite any bravado she’s developed, she still has moments of vulnerability. However, the sister who really stands out for me is Arsinoe. Even after living her life thinking her gift had betrayed her and being told she would be one of the sisters to die, Arsinoe never gave up living. She probably has the most true and devoted family/friend base of the triplets and it has helped her to remain strong and positive. Considering how things progress in One Dark Throne, she certainly needs it as we begin to see where true loyalties lie this time around. 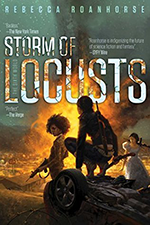 What keeps this read from being a full five stars comes back to the fact that this was originally supposed to be a duology, and now is expanding into a four book series. While this is great news, you can clearly see, especially from the middle onward, how the plot kind of winds down from the fast-paced start is has at the beginning. I felt like things get a bit repetitive in places as it’s being ensured to leave enough open to continue to books three and four. Regardless of this, Kendare Blake makes an extremely readable story with three very compelling female leads (not to mention all those secondary characters as well). 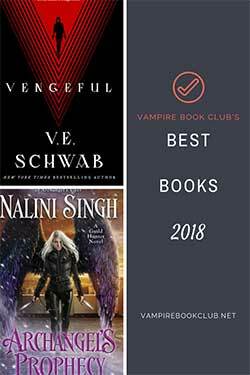 She’s not afraid to take risks with her characters while readers are once again left desperately hoping their favorites survive to the end, and the others get their comeuppance.